Well I came back from my holidays to 16.5kg of marrow and they’re still coming thick and fast. 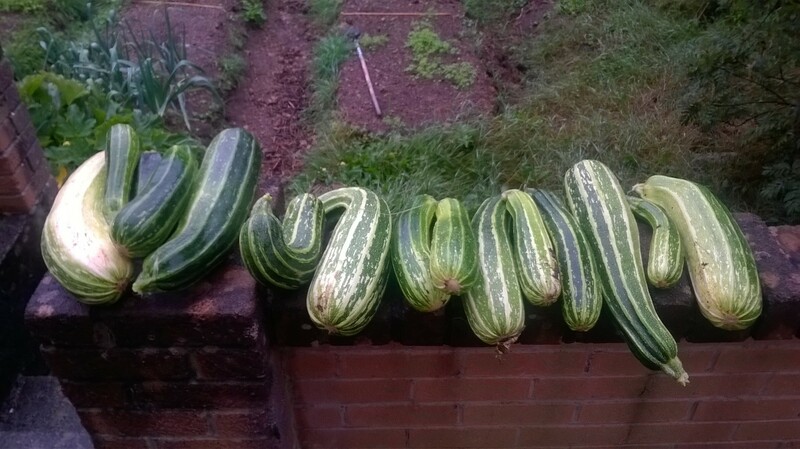 What to do with this courgette nightmare?Perhaps one plant will be enough next year. 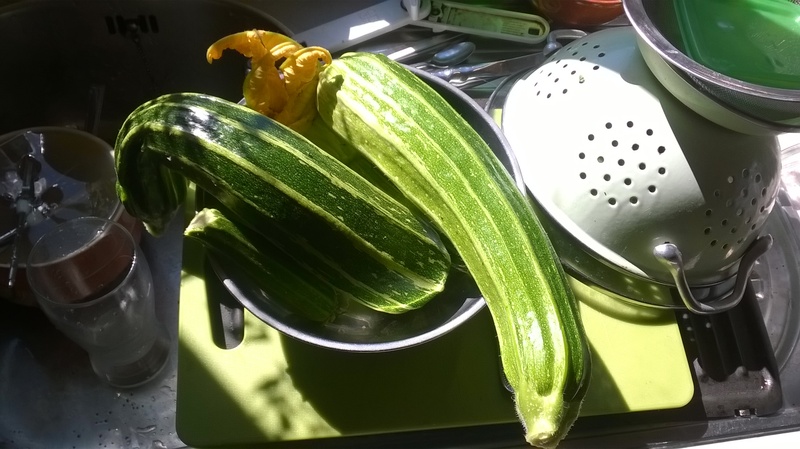 Our courgettes are starting to come thick and fast. I checked them on Thursday and had a few the length of my finger or so. This morning I checked and they had mutated into monsters. We’re going on holidays next week. What monsters will be awaiting when I return? There are some vegetables like the oriental greens, turnip tops, beetroot etc that I can’t find a price for. 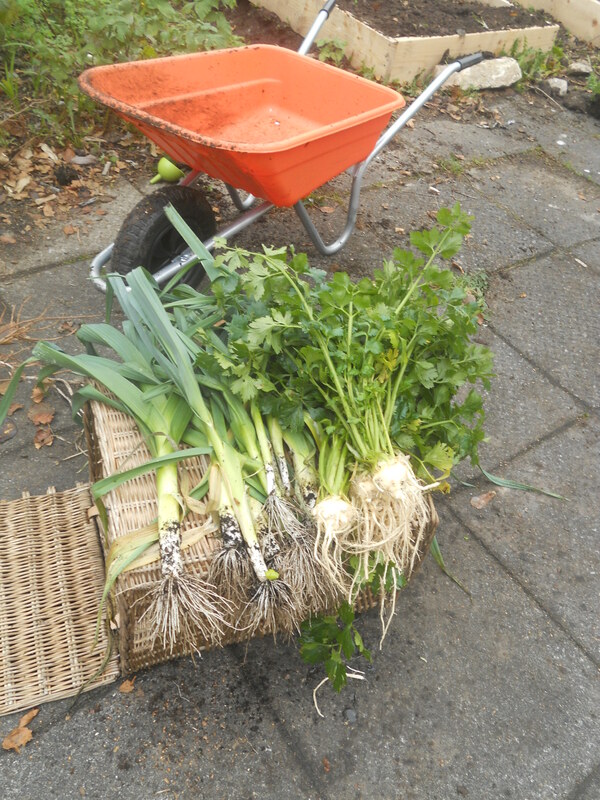 Basically if I treat them like perpetual spinach I have a rough guestimate of having to spend about €200 to buy organically what I’ve managed to grow in the garden. Which of course is a lie because I had to buy the seeds, and slug pellets, and other bits and bobs. 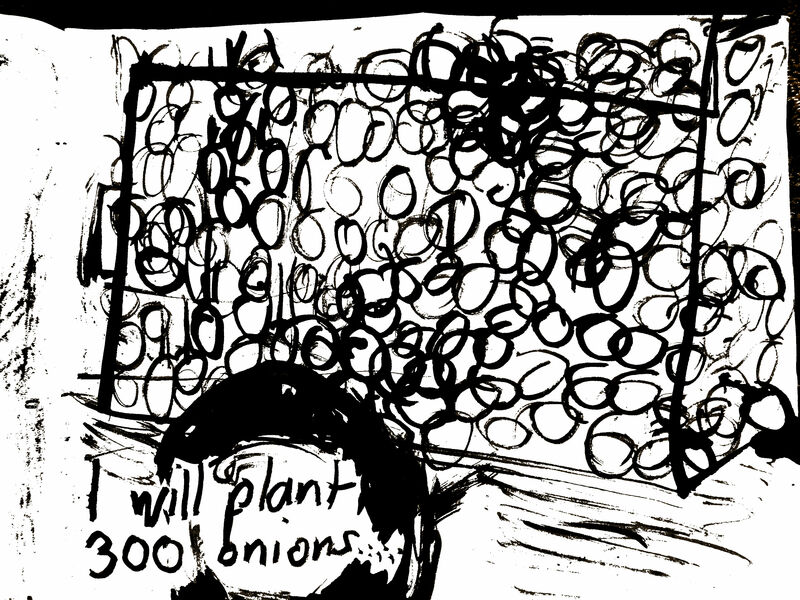 If you want to confirm that our economic system is indeed bonkers and disproportionally rewards unreality while devaluing things that actually matter then you should keep a vegetable patch or just try growing a few onions. The vegetable that is the easiest to grow, the one that grows the quickest.and is the least work is the one that will cost you the most in the supermarket. H has been nibbling away at the lettuce and I haven’t been keeping a record of it because it seems to insubstantial compared to vegetables that matter like onions or ones that where a lot of work like the peas. My embarrassing rocket yield was actually worth €2. 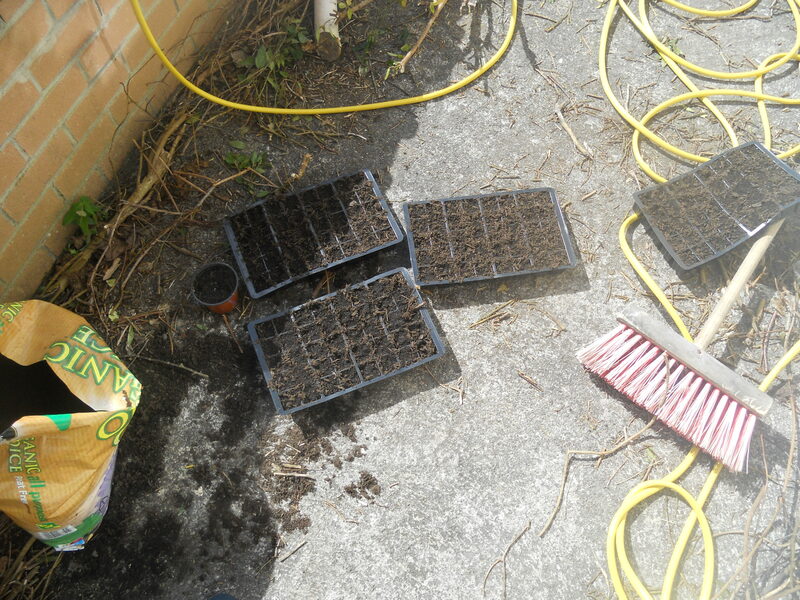 The weather lovely, the wind not too blowy, a morning for planting seeds in the garden. I’ve been reading the instructions but now I’m ignoring the instructions and just planting seeds willy-nilly as it just feels right to be putting them in the soil today in any way. I thought that planting my own vegetables and herbs might save money. But seeds, modules, cloches, wood for raised beds adds up and you wonder if it might not be cheaper to just buy them at the supermarket. Then there is the weeding (already! ), and the snail holes and the watering. My soil seems so dry and now that I’ve actually started planting stuff it also seems poor. 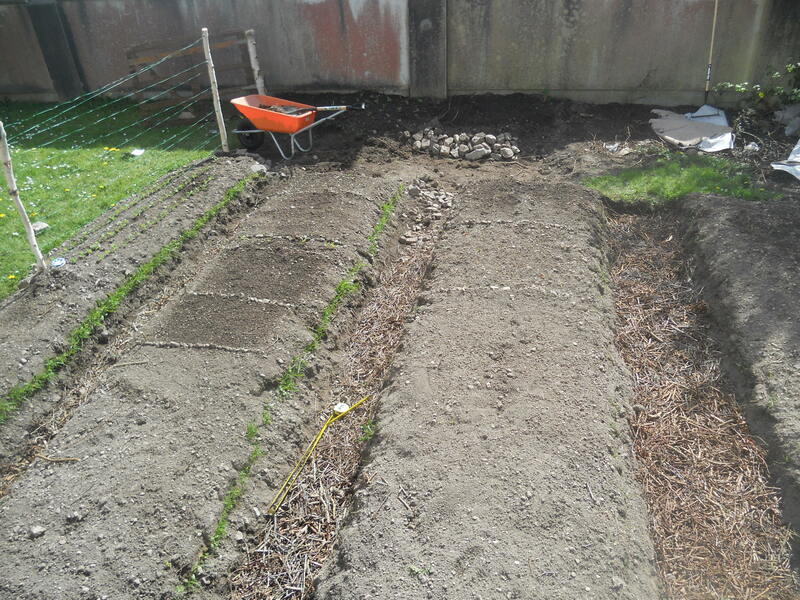 Is it worth my while planting vegetables? Putting kale seeds into modules quickly goes to thoughts about work and the economy and how bags of peas can only cost £1.19. How much fertiliser is being blitzed into the soil in fields in unknown locations to make the economics work? 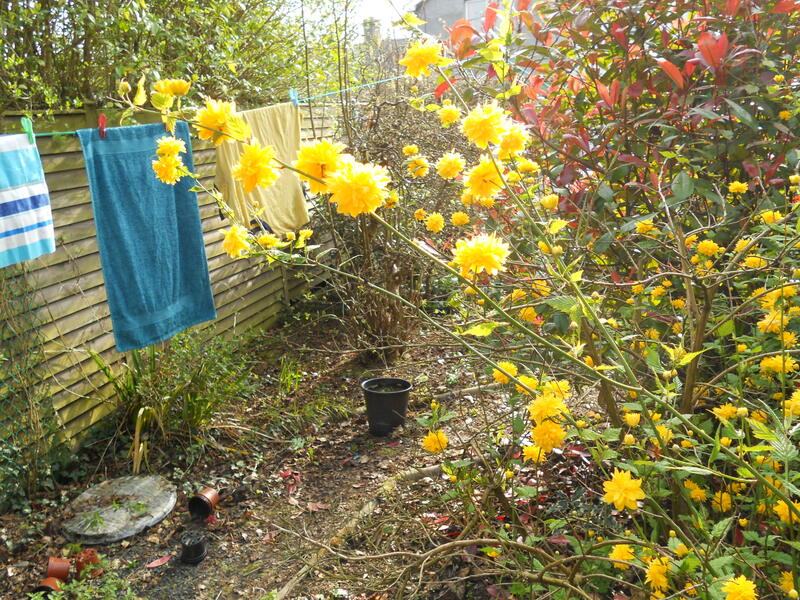 The more I do stuff in the garden the more the economy doesn’t make sense. Machines might make farm productivity greater but how many men and women have they put out of work? Stuff doesn’t add up. I could spend weeks planting vegetables and working hard but the price of cauliflowers or carrots tells me that my work isn’t worthwhile. That is if the value of our work is measured in euros or salaries. Which is a lie because the value of our work doesn’t lie in the valuation of Mammon. Or at least it shouldn’t. And we pay too little for our food and too much for frivolities and trinkets. I’ve been slowly slowly filling my raised beds up with soil. While I’ve been doing that I’ve also been wondering ‘I wonder what I should put in here when the spring comes?’. In a way it reminded me of playing Fantasy Football League so I decided to pick a Fantasy Raised Bed Team. The first name that I’d have down on my team sheet would be flat leaf parsley. I have some growing at the moment and use it all the time, at least once a week. Buying one of those plastic herb boxes at my local supermarket would set me back €1.49 and I could do with buying a box of it every 2 weeks and then throwing out the rest. But the truth is that if I didn’t grow it I probably wouldn’t buy it as I would treat it as a non essential. So by growing some I provide something that might otherwise cost €38.74 per year, and if we lived here for 7 yrs that would be €271. Plus I would have cut down on plastic packaging. It also won’t take up much space, so that is why it’s the first name on my team sheet. I have been clearing out an old USB stick this morning and found a folder called urban farming with links to various things that at one time or other I’ve found interesting. with very specific fellow human beings doing the farming and either treating creation with respect and love or else treating it badly. It can tie your head in knots and so why would we even bother thinking about stuff like that? Why not just be thankful you have enough to eat and get on with living life as best you can. I often do and my default setting is just to consume uncritically, to munch my way through a Mars Bar as I rush from one thing to the next. Yet at other times a sense of unease comes upon me. Because I eat I ‘m involved with agriculture and farming, and so are you. You are responsible for farming. It’s an incredibly complex journey from farm to my mouth (without even considering the packaging) so I won’t even try or else I might drive myself crazy. Yet surely few things (if anything) are as fundamental to humanity to eating, which also means that few things are as fundamental as farming to human beings. This is something which we have completely forgotten in our culture. We know that we have to eat but we don’t seem to realise or have lost sight of the fact that we are dependent on the farmer to grow our food. Right now you are completely dependent on the fact that someone, somewhere is growing your next meal. Farming and agriculture matter, they matter more than the Man Utd game or ipad 3 or Google or nearly anything else. And because we eat and depend on the farmer (who depends on grace and things he ultimately can’t control) we also depend on taking care of the earth like we were designed to do in Eden. If we’re serious about looking after creation we need to support good farmers and those gardeners who use sustainable practices, even if that means much more work on our part in doing research and paying more for our food. We also need to stop supporting those who use destructive practices. 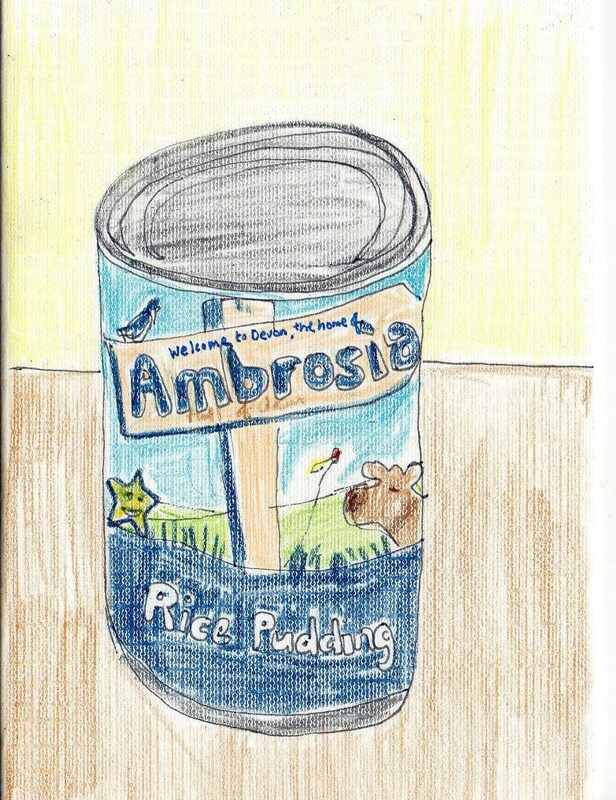 With most of our mass produced food it’s nearly impossible to know if you have acted in a way that has promoted the good of the communities and places it has come from. So we need to go looking for good farmers who we trust, (or grow as much as we can ourselves) which means more work for us but is the sort of thing we probably should do more off if we’re trying to reflect that idea in Genesis of tending the garden of Eden.